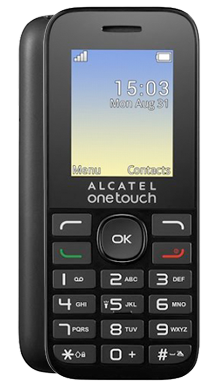 Alcatel has been manufacturing mobile phones since 2004, and are now widely regarded as one of the world's leading mobile communications companies. They are known for releasing fantastic mobile phones that are simple and easy to use, as well as incredibly affordable, making them the perfect choice for anyone who is on the hunt for a new smartphone that won’t empty their savings account. Time and time again, Alcatel has received extremely positive reviews from critics and consumers alike for giving the public reasonably priced smartphones that are reliable, practical and surprisingly powerful. Alcatel smartphones are ideal handsets for anyone who is looking for a mobile phone that isn’t overly complicated to use. They are also stellar choices for anyone who is looking for their first smartphone, and they come ready with all of your favourite social platforms already installed, so you can get going with just the push of the power button. 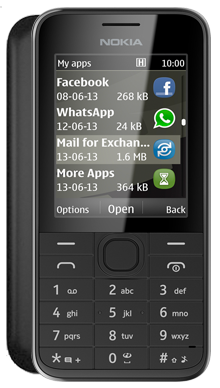 Here at Metrofone, we have some of the best Alcatel deals on the market. 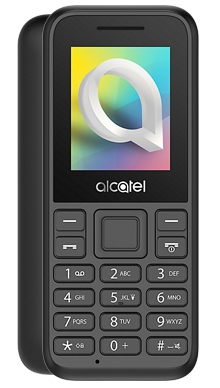 You could get your hands on the fantastic Alcatel Pixi 3 with no upfront cost and take advantage of a fantastic cashback deal to save you even more money on this affordable handset. When you shop with Metrofone you are signing onto a deal with EE, the UK’s leading mobile communications network. At Metrofone we partner exclusively with EE because we can then rest assured that our customers are receiving the very best service possible. With over 31 million connections worldwide and a loyal following of satisfied customers, EE truly is the best. With EE, we know that our customers get the very best mobile phone connection wherever they, as well as exceptional customer service from the network. As well as fantastic service here in the UK, with EE you can additionally get free roaming when you are travelling abroad. There are loads of fantastic perks with EE; you can also choose an exclusive free subscription to BT Sport for three months. Once you’ve found the perfect Alcatel deal to suit your requirements, you can take advantage of Metrofone’s brilliant next day delivery, and it won’t cost you an extra penny! That’s right, you could order your new Alcatel mobile phone deal and have the handset the very next day, for free! If you would like more information about any of our Alcatel products, or if you have any further questions about any of our Alcatel deals, or just shopping with Metrofone, then call our brilliant customer service team today. They are all based in the UK and are ready in waiting with the latest expert industry knowledge to listen to your needs and answer any of your burning questions. Call them on 0333 800 1144 now.